Also available are line plotting, vectors (arrows to view flows), etc. You can also composite multiple graphics. to get a ruby script to reproduce the image and a NetCDF file that contains the minimum amount data to reproduce the image. 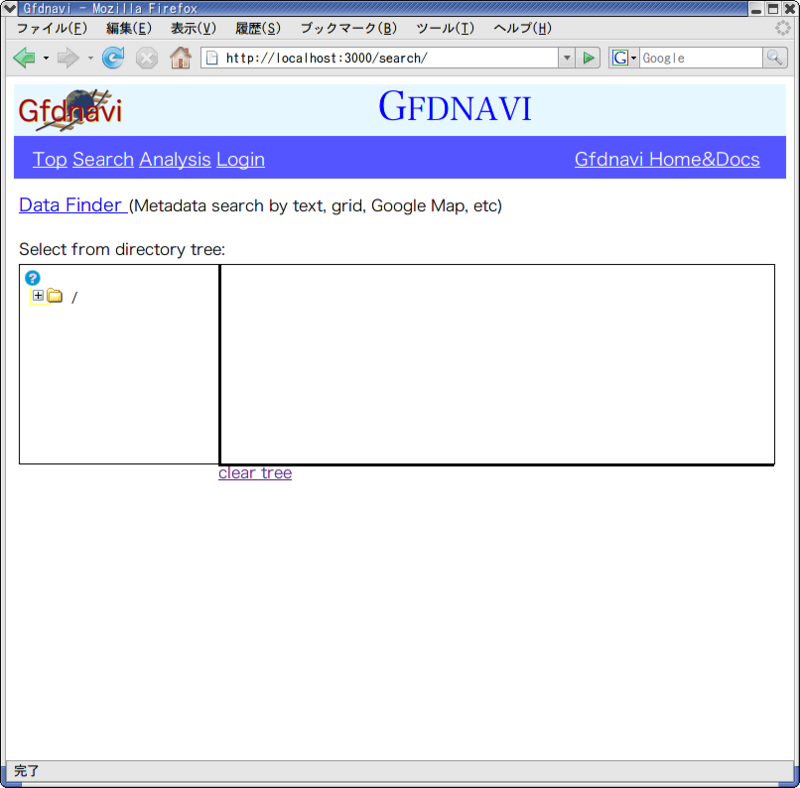 to save the image (along with metadata, which you can enrich) at the server (need login: see below). to obtain a html link to reproduce the image dynamically on the server. 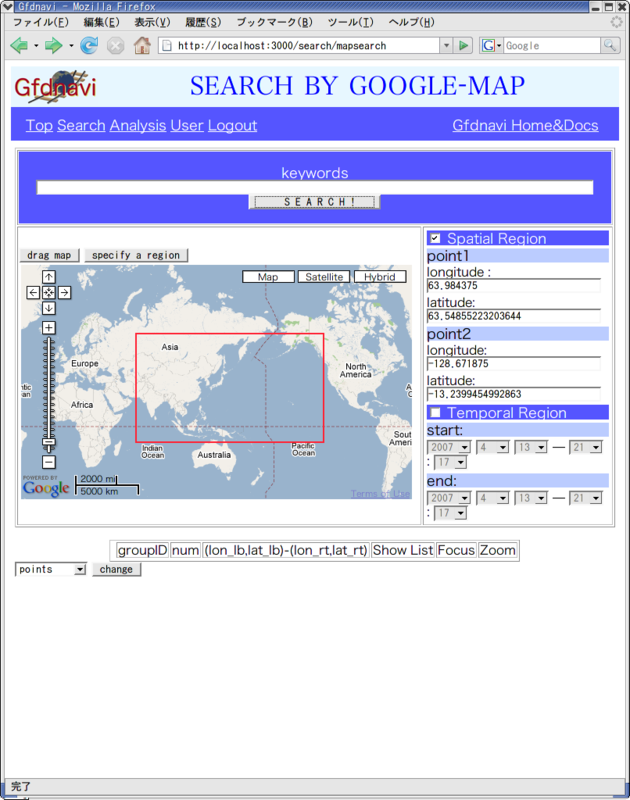 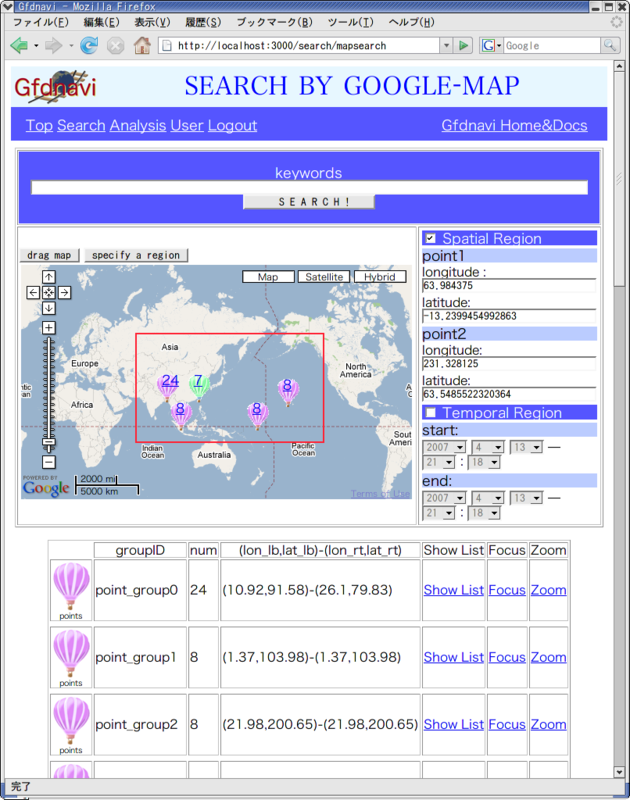 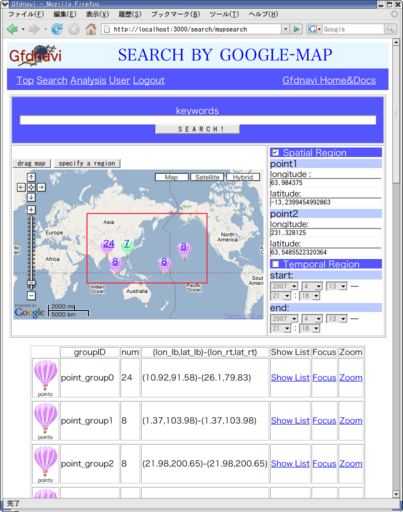 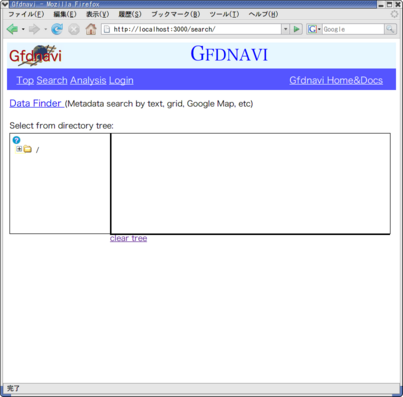 BTW, you can search data from the database. 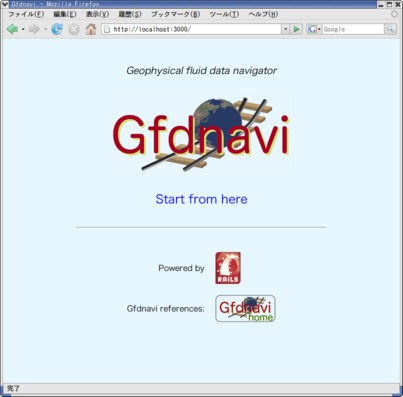 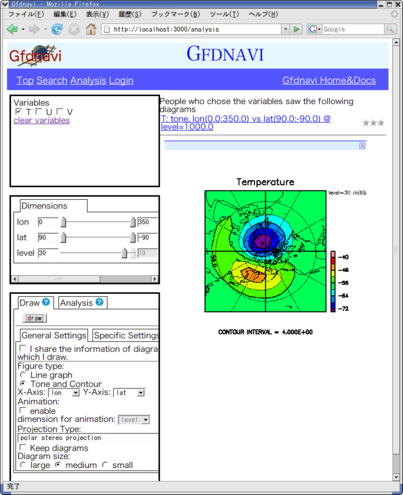 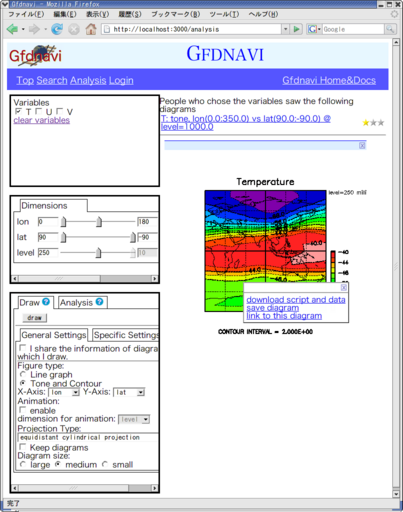 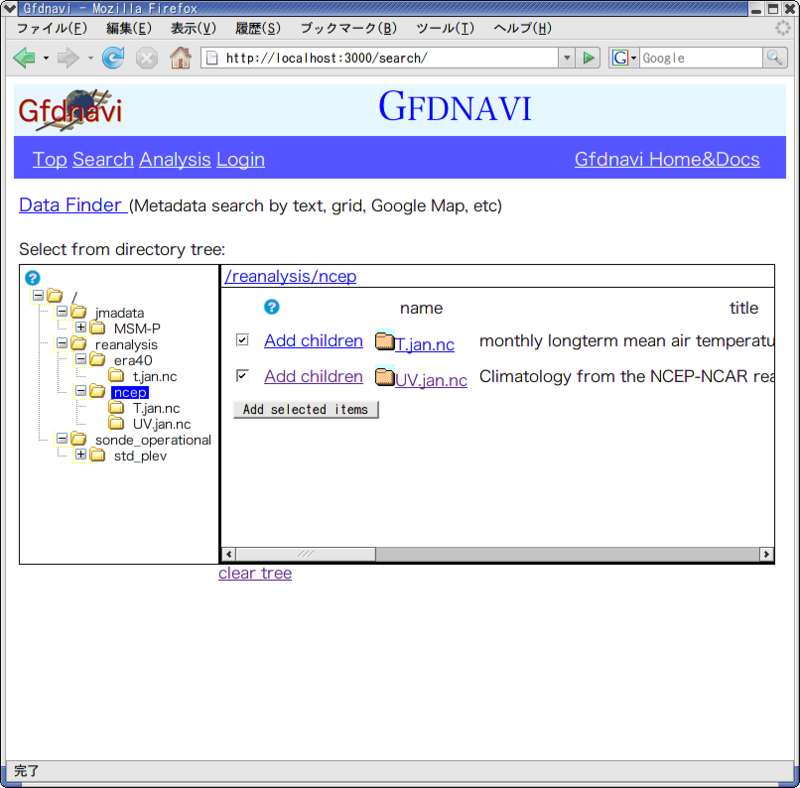 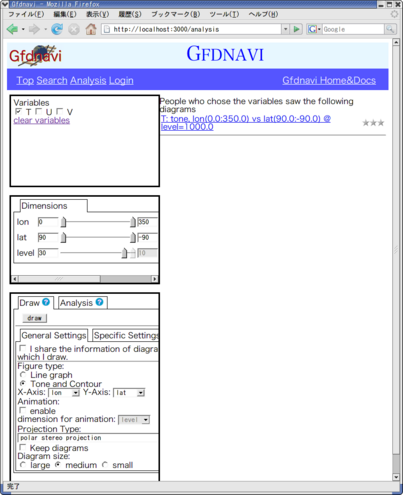 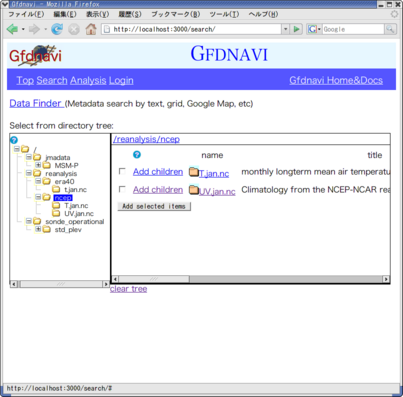 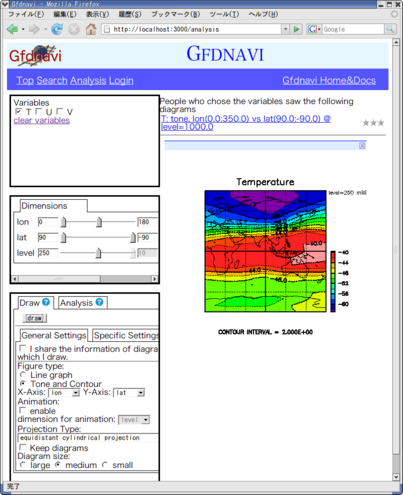 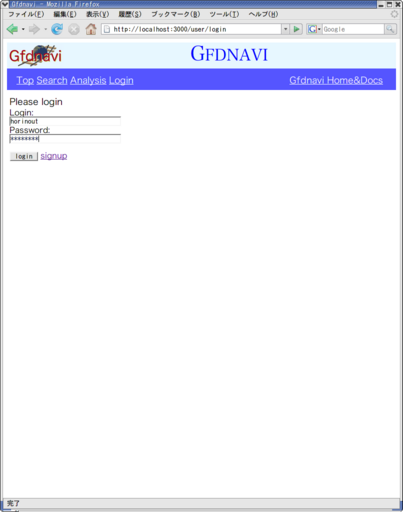 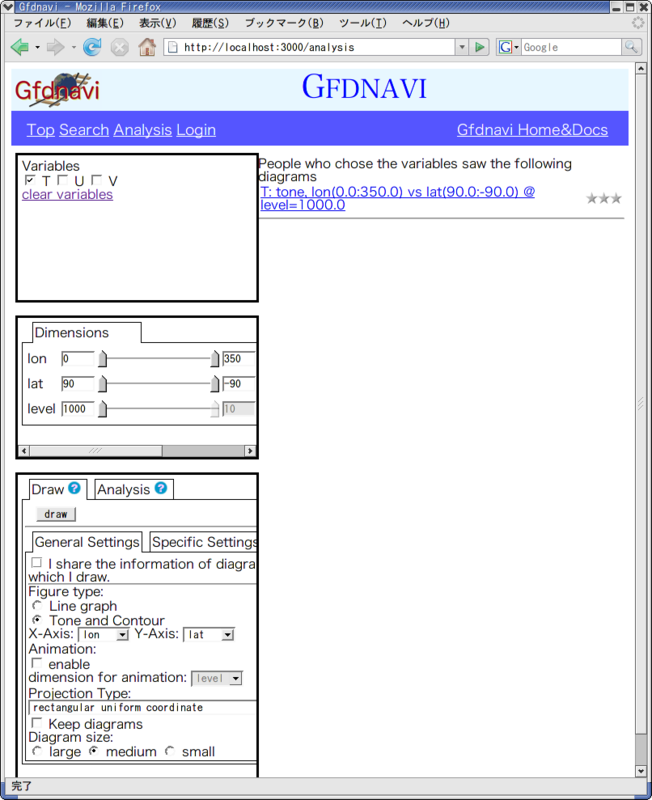 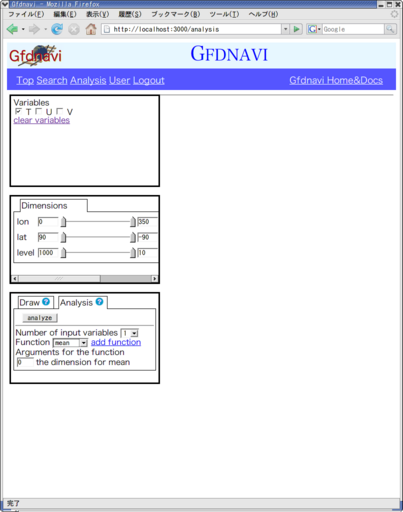 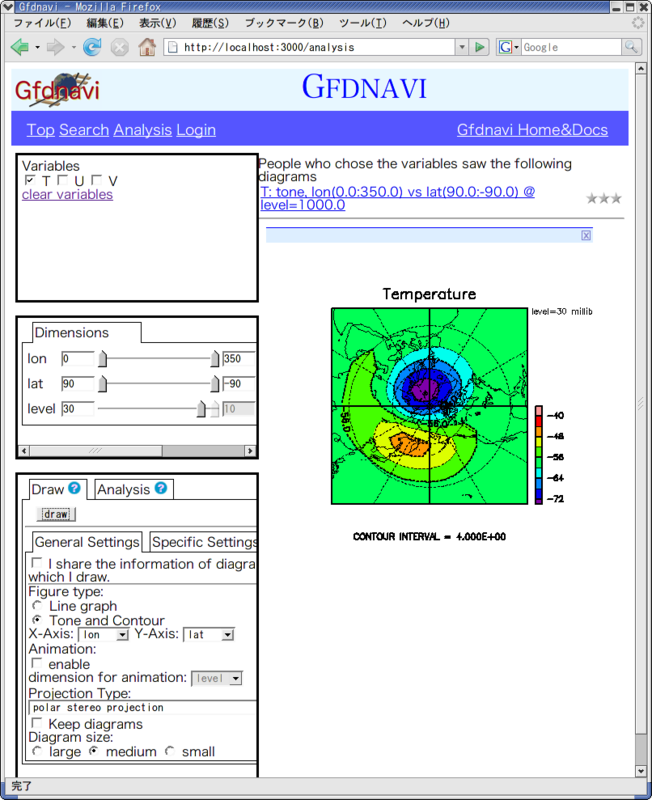 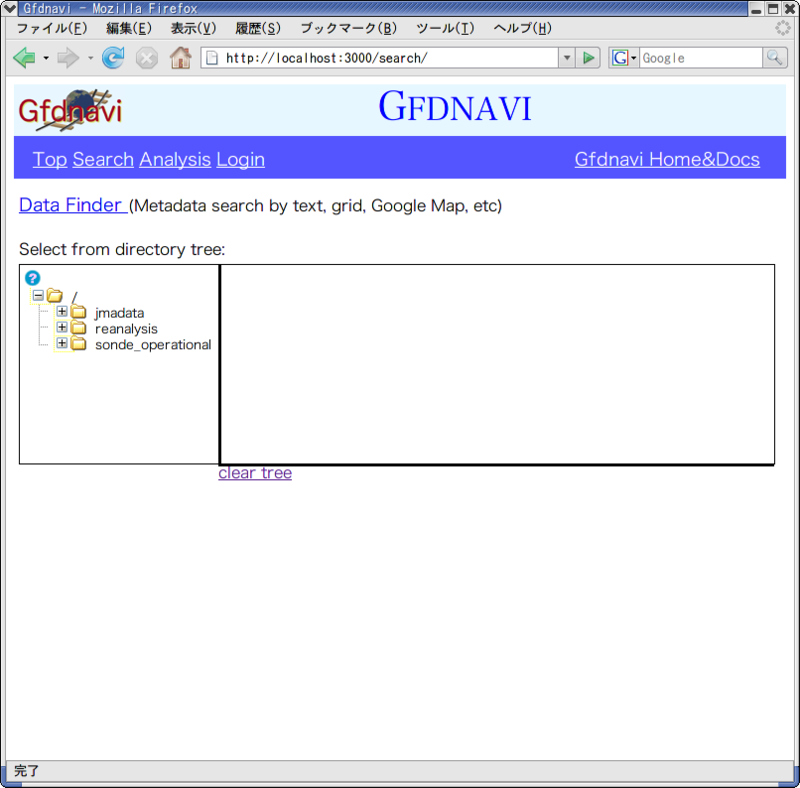 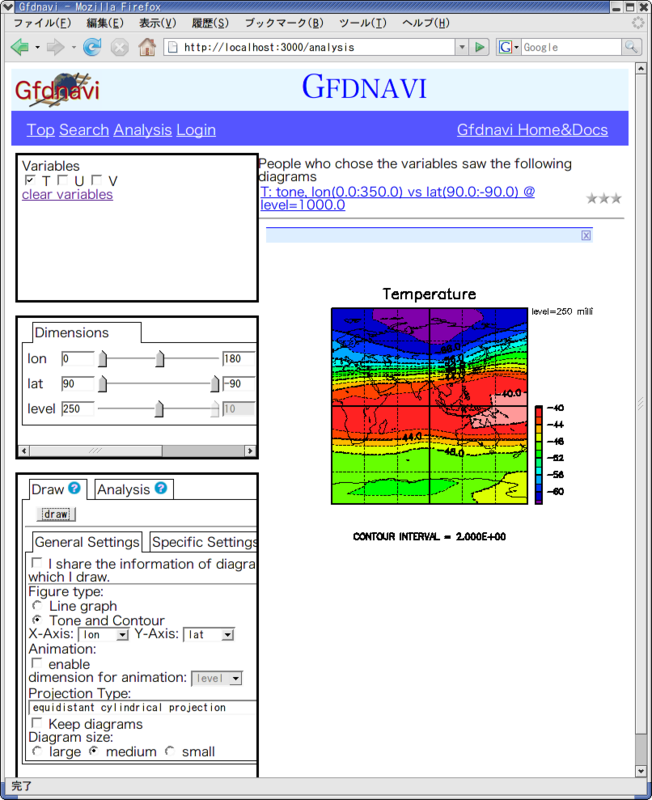 You can access Gfdnavi anonymously, but if you login, more options are available.